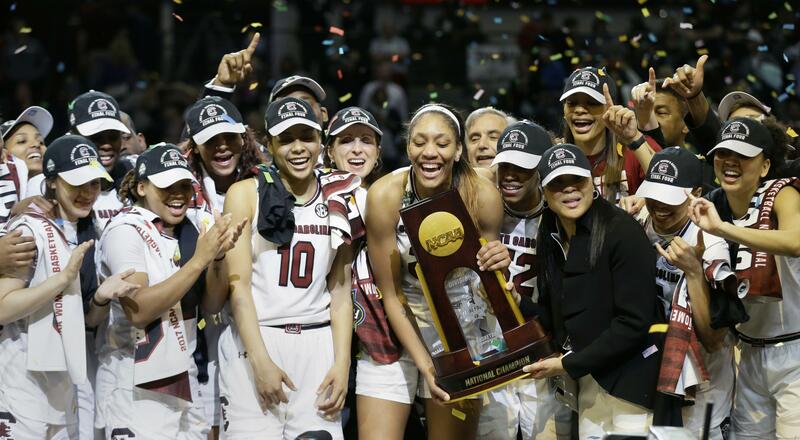 DALLAS – Dawn Staley is going to savor her first NCAA championship. It took her a long time to finally be able to raise the trophy over her head. Staley became the second African-American coach to win a national championship. She joined Carolyn Peck, who won a title at Purdue. Mississippi State had all the momentum on its side after a shocking win over UConn on Friday night that ended the Huskies’ record 111-game winning streak. The Bulldogs couldn’t muster the same effort against the Gamecocks. Morgan William, who had become the face of the tournament with the game-winner against the Huskies after a 41-point performance against Baylor, was held to 8 points. The victory in front of a sellout crowd came one day after the Gamecocks men’s basketball team lost to Gonzaga in the Final Four in Phoenix. Published: April 2, 2017, 8:17 p.m.